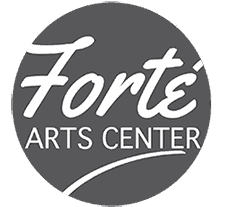 At Forte Arts Center, we offer complete instruction programs in the arts for students of all ages and abilities. Our integrity, value and dedication to excellence is the foundation of all we do. The positive development of mind, body and spirit in all our students, recreational to pre-professional is our focus. Our instructors go beyond technique and poise to develop important life skills such as confidence, respect, passion, determination, trust, friendship and perseverance. At every level of our programs, students are being built up from the inside out through the magic and love of the arts.